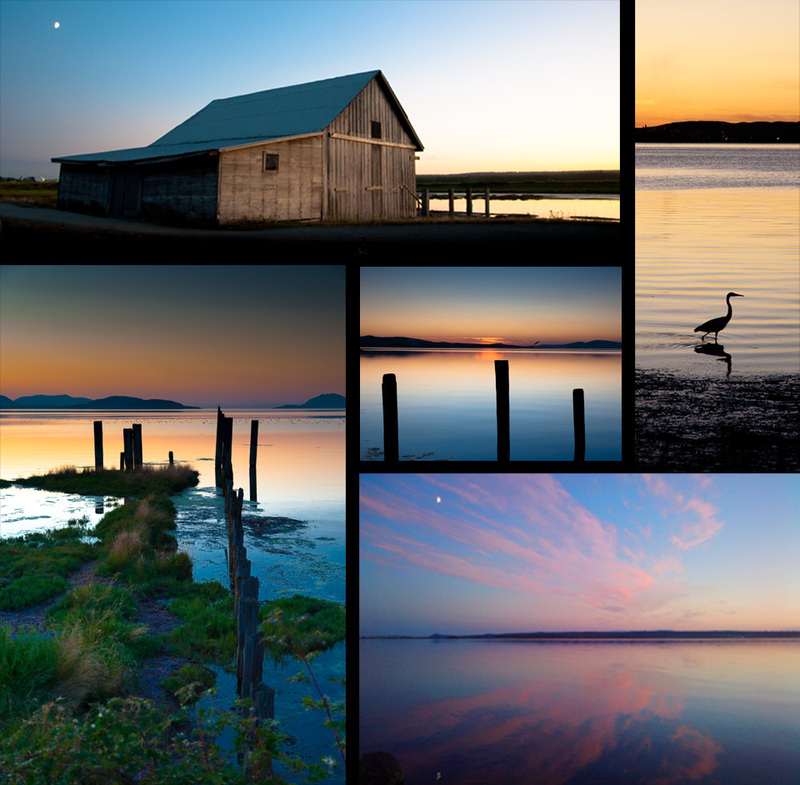 Every night this week after work my wife and I would race out to Padilla Bay with our bikes and a picnic dinner to catch these amazing sunsets. Usually we are lucky to get a night or two of ok sunsets, but for the whole week with the awesome colors. The top image is a couple of heron on pilings neer the beginning of the trail. The building is right around the corner. The upper right is another heron with Fidalgo Island behind. The lower left photo is my favorite of the bunch the colors are unreal. The center image with the three pilings was just asking to be taken each time I rode by and this was the best moment for it. The last one in the lower right was taken on the last night when I did not take my regular camera, it was taken with my crappy little cell phone, this is also why you cannot find it in the Photography section of my website.